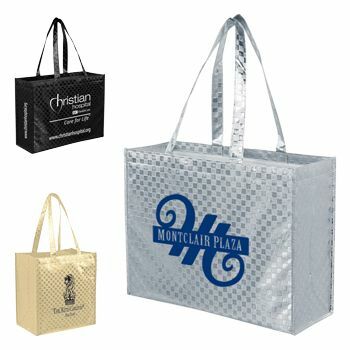 These glossy pattern bags are made to show off your business from the classy, glossy shiny surface to the customized imprints silk screened on both sides. 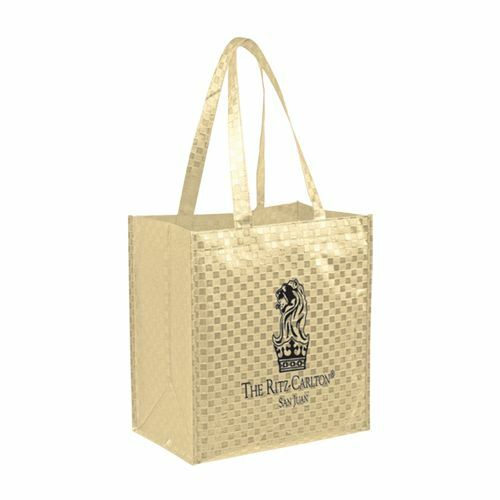 Each bag is completed with matching handles made from macrame cord. 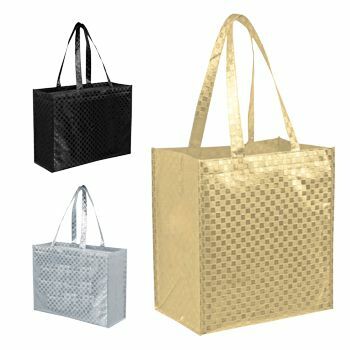 This smooth finish patterned designer tote bag measures 16” x 12” and features 6” gussets with 22” handles. 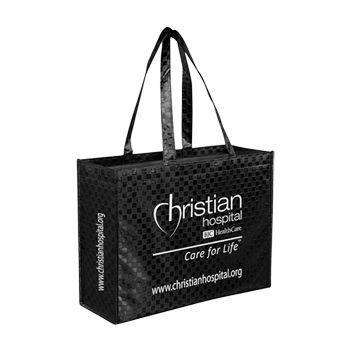 Crafted out of 100 GSM non-woven polypropylene with a metallic lamination that provides extra structure and strength. 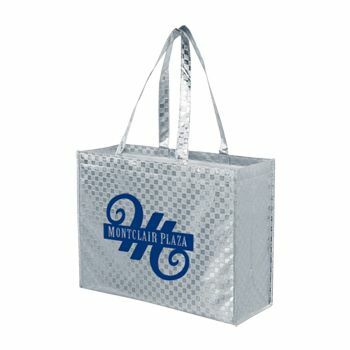 We recommend customizing it with your company name and logo. 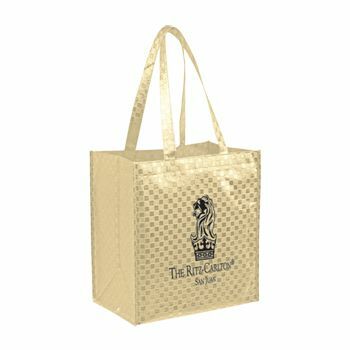 This bag will look just like an expensive purse, a gold bag will go great with a matching gold iPhone or Samsung as accessory.